The gym isn’t just about using the treadmill when the weather turns to custard or riding the elliptical on physio orders. Instead, runners can garner so much from the gym that will ultimately make them faster, smoother, more durable runners. This is the classic objection against entering the non-cardio section of the gym. Many runners are guilty of this, too. Yes. Absolutely. And especially for ageing runners and those with poor power-to-weight ratios. According to top sprint coach Ryan Flaherty, there’s an incredibly strong correlation between someone’s max running speed and their ability in a trap bar deadlift (relative to weight). I’ve anecdotally found the same with the standing vertical jump—those who can jump high, can typically run fast. Essentially, it’s all about power-to-weight. Distance running helps a lot with the weight reduction part of that equation, and also massively in improving endurance, but it has a limited impact on raw power. This is where heavy, full body movements in the gym—like squats, deadlifts, cleans, weighted burpees and so on—can be the runner’s best friend, especially those who feel like their running fitness has permanently plateaued (or slowly declining with age). Stretching is not just leaning against a fencepost at the end of a run. Instead, I believe that the best form of stretching for everyday runners is actually dynamic. By dynamic I mean drills that gently encourage a greater range of motion. These make for brilliant gym warm ups and also relaxing, full body warm downs—especially after heavy workouts. Check out our drills page for ideas. Nothing drives me crazy at the gym more than seeing people do 12 reps on a machine and then just sit there for two minutes—just like they were told to from the 1980s bodybuilding manuals. This methodology worked for Arnie because he had all day to train, but for the rest of us, who either need to be back out there logging miles or heading off to work/family, that rest is just wasted time … most of the time. I say most of the time, because if I’m doing a specific strengthening regime, like increasing my deadlift best or learning technique or rehabbing an injury, that rest is important so I can increase my time under tension in the workout. However, for the type of strength that most runners are looking for from the gym, we can afford to keep the heart rate up and move from one strength exercise to the next like it’s a circuit or a CrossFit WOD. 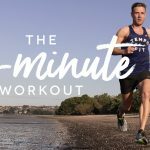 The lack of rest enables you to do more in less time and to build in some aerobic development (which is your golden ticket as a runner) into the workout. You can also tap into the heights of cardiovascular intensity if you want to take it there, meaning, you’re allowing a strength workout to cover many of the same metabolic and mental conditioning that a tough VO2max running workout, like 5x800m reps @ 3k race pace, would give you. The big caveat I’d throw in here, however, is that you first need to become proficient in technique before maxing yourself out with high intensity barbell movements. Otherwise your lower back or hammies could end up hating you forever! Press ups are great for strengthening your chest and arms, helping you press or push things away from your torso. But what about pulling? And what about your back? When creating a workout schedule, a basic rule is to look at each movement you’re performing and aim to address the opposite movement as well (whether in that workout or in that week). Notice the pull ups and overhead presses are effectively performing opposite movements. Same with the dips and the high pulls. These contrasting movements enable you to aim for muscular balance by making sure that complimentary muscles groups are both strengthened. While this can be true for developing muscle memory in order to solidify good running mechanics, I prefer to designate the sorts of movements that replicate running to the genre of drills, rather than gym-specific movements. Instead, if I am in the gym, I prefer to do movements that I can’t do elsewhere; those movements that will have an immense contribution to my overall power, athleticism and durability—all of which translate to better running further down the track. Now, this might mean that bicep curls and bench pressing isn’t hugely relevant for the runner, but exercises like deadlifts, wall balls, pull ups, power cleans, kettle bell swings, hip thrusts, and even handstands, can give us that power, athleticism and durability that running alone can fail to provide. The variety of exercises you can do in the gym is mind-boggling. So much so that many of us end up sticking to what we know for years. 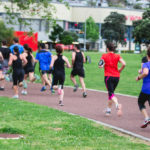 It’s for this reason that I encourage all of my runners to seek out a good personal trainer to, not only check their technique when performing key movements like squats and deadlifts, but also to teach them new movements. This commitment to constant learning keeps the gym exciting and keeps your body guessing and building strength for the next fitness challenge that is going to come its way. It also gives you a bigger appreciation for the gym, so that if the day comes when you’re on the injured list you can find enjoyment and pleasure out of your gym workouts. 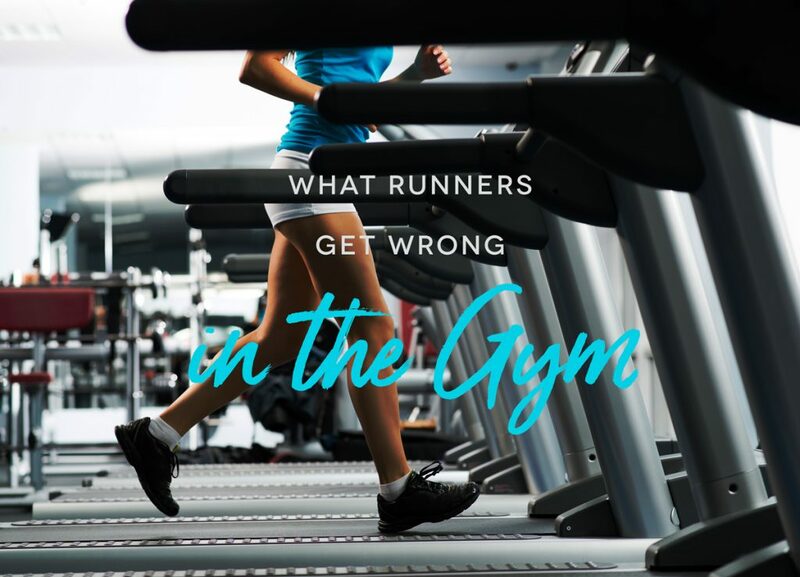 We’re athletes before we’re runners, so treat the gym as another opportunity to fall in love with exercise and to gain a deeper connection with a healthier, fitter you. This entry was posted in Training Tips, Uncategorised and tagged cross training, injury prevention, speed development, strength training. Bookmark the permalink.